Posted on December 4, 2018 by HB Auld, Jr.
On this date 68 years ago, December 4, 1950, a young US Navy Lieutenant Junior Grade risked his life to save a fellow naval aviator. During this week in 1950, Lt. (J.G.) Thomas Hudner crash lands in Korea. He was trying to save the life of Ensign Jesse Brown, the first black aviator in the U.S. Navy. Not that Tom thought of Jesse that way. When Tom looked at Jesse, he didn’t see “the first black aviator.” He simply saw a friend. And he couldn’t leave his friend to die. The Korean War was then waging, and Tom and Jesse were both assigned to USS Leyte. Their job was to provide air support for U.S. Marines on the ground. Unfortunately, things took a bad turn on December 4, 1950. Jesse’s plane had taken a mortal hit. He had to land somewhere—and fast. Tom stayed on Jesse’s wing the whole way down, helping him through check lists. Then he watched his friend’s crash landing with dread, searching for signs of life. What a relief when he saw Jesse waving from the wreckage! And what confusion when Jesse didn’t get out of the plane. What was wrong? Wisps of smoke began to waft from the plane, providing even more cause for worry. Think about that. Tom had just witnessed a crash landing in terrible conditions. The weather was unbelievably cold, hovering around 0 degrees. Tom had been afraid that Jesse wouldn’t survive—but now he was determined to replicate the same nearly impossible feat. He’d done it. His back hurt so much that he thought he’d broken something, but he got out of his mangled plane, working through deep snow to find his friend. The situation was serious. Jesse was alive, but his knee was trapped. Flames were sputtering, threatening to engulf the plane. Tom shoved snow on the fire to contain it. He pulled and pulled on Jesse, but to no avail. He wrapped Jesse’s hands and feet to ward off freezing temperatures. Both men waited, together, for a rescue helicopter. After 40 long minutes, the helicopter finally arrived. Tom got an ax and swung it at Jesse’s plane repeatedly, but to no avail. Night was falling. The helicopter pilot gave Tom a choice: stay or go? Tom still wavered. It was suicide to stay overnight in those freezing temperatures. He was prepared to stay if Jesse were alive, but Jesse had been unresponsive for a while. Tom felt sure that he would be court-martialed! He wasn’t supposed to crash land, even to save a fellow pilot. What a surprise when he was recommended for the Medal of Honor instead? “There has been no finer act of unselfish heroism in military history,” the captain of Tom’s aircraft carrier would say. Captain Thomas Hudner passed away about a year ago, at the age of 93. RIP, sir. Tara Ross is a mother, wife, writer, and retired lawyer. She is the author of The Indispensable Electoral College: How the Founders’ Plan Saves Our Country from Mob Rule,Enlightened Democracy: The Case for the Electoral College, co-author of Under God: George Washington and the Question of Church and State (with Joseph C. Smith, Jr.), & We Elect A President: The Story of our Electoral College. She is a constitutionalist, but with a definite libertarian streak! Posted on August 25, 2018 by HB Auld, Jr.
John S. McCain III, senior Republican Senator from Arizona, passed away today from brain cancer. He was 81 years old. Just yesterday, his family and he announced he had decided to cease taking his medications for the cancer. He must have known then that the end was near. Senator McCain came from a line of distinguished naval officers. His father and his grandfather were both Admirals in the US Navy. Senator McCain also served in the Navy, flying A-1 Skyraiders on the aircraft carriers USS INTREPID (CV 11) and USS ENTERPRISE (CV 6). Later, he requested a combat assignment and flew A-4 Skyhawks aboard the USS FORRESTAL (CV 59) and USS ORISKANY (CV 34). It was while serving in FORRESTAL that his aircraft was involved in a shipboard fire that resulted in 134 Sailors dying in the fire. He was transferred to ORISKANY soon afterward. It was on October 26, 1967, while flying combat missions as a Lieutenant Commander from ORISKANY that he was shot down over Vietnam, captured, and held as a Prisoner of War. He was ultimately released from imprisonment in North Vietnam after five and a half years on March 14, 1973. He retired from the United States Navy on April 1, 1981, at the rank of Captain after 22 years of service. Senator McCain was elected to Congress as a Republican US Representative from Arizona in 1983. Senator McCain advanced to serving in the US Senate in January, 1987, after his election in November, 1986. He frequently referred to himself as a “maverick Republican” during his time in the Senate. He published his memoir, Faith of My Fathers, in August, 1999. He ran against Texas Governor George W. Bush in the Republican primaries, losing to Governor Bush who would go on to win the presidency in 2000. Senator McCain ran again in 2008, as the Republican standard bearer, but lost the presidency to President Barack Obama. Senator McCain served six terms as the Republican Senator from Arizona. He last cast a vote in the US Senate in December, 2017, after which, he returned to Arizona to continue treatment for brain cancer. He and his family announced yesterday that he would no longer undergo cancer treatment. He died today, August 25, 2018, at 4:28 p.m. local time, surrounded by his wife, Cindy (Hensley) McCain, and his family. Rest In Peace, Shipmate. We have the Watch. Always Remember, that Day in December! Posted on December 7, 2015 by HB Auld, Jr.
Today, December 7, 2015, is the 74th anniversary of that “…day that will live forever in infamy” as President Franklin D. Roosevelt described it. The below was written by my good friend, Jeff Morley. He has described that day and its remembrances far better than I could. His essay is published here with his permission. Today some 74 years ago in history, the USA was dragged kicking and screaming into war. Before then, we told the Axis powers to leave us alone and Churchill told us he needed our help. If the Axis Powers had paid attention to what we’d told them, England, France, and practically all of Western Europe with a good portion of Eastern Europe along with Africa would have had a drastically different history, a much darker history at that for most of those places. But the Axis Powers paid us no heed. We said don’t mess with us and they delivered one hell of a sucker punch to us in Hawaii on a sleepy Sunday morning. They should not have done that. They should have left this peace loving nation alone. The world should never forget December 7th of 1941…unfortunately, most of the world has, to their peril. The United States should not either…unfortunately too many of our people have, to our peril. Remember Pearl Harbor, remember the sacrifice of those brave sailors while you say a prayer for our men and women making the same sacrifices today, but most of all, teach this next generation about our past and the wounds of our predecessors. 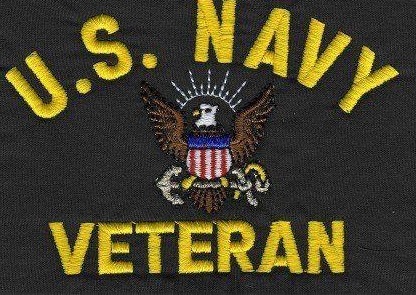 God bless the warriors that guard our seas today, God bless the memory of those that guarded our seas yesterday. Posted on August 31, 2015 by HB Auld, Jr.
Today is the 50th anniversary of the day I joined the US Navy. I raised my right hand and swore to defend the US Constitution August 31, 1965. That naive 19-year old had never been out of deep East Texas, never flown on an airplane, and certainly never thought about seeing the world. It would be another 120 days due to the Delayed Entry Program, before I departed East Texas for Navy Basic Training in San Diego, arriving there the night of December 28, 1965. Today is also the 28th anniversary of my retirement from the US Navy. I retired in 1987, 22 years after originally joining in 1965. In between, the Navy allowed me to travel the world and see cultures and things I never would have had an opportunity to see otherwise. I passed through or was stationed in: California, Florida, New York, Hawaii, Alaska, and Indiana, as well as: Japan, Guam, Okinawa (before it was given back to Japan in 1972), Nova Scotia, Scotland, England, Denmark, Sweden, Germany, Italy, Greece, and Turkey. My two sons were both born overseas in Scotland and Okinawa, and attended school in Italy, getting an education that would not have otherwise been possible, were it not for the US Navy. I made friends all over the world in all five branches of the US military services, as well as other countries. Many of these remain friends of mine today. What a wonderful ride it was. Today is an important day in my life. Posted on August 22, 2013 by HB Auld, Jr. I just learned tonight that retired US Navy Master Chief Journalist Dennis Stanley Reinke passed away a few months ago. He was 71 years old. Below is Master Chief Reinke’s obituary. RIP, Shipmate. Dennis Stanley Reinke was born Jan. 4, 1942, in Worthing, S.D., to the late William Stanley Reinke and the late Matie Stroman Reinke. He grew up in Hill City and graduated from Hill City High School in 1960. 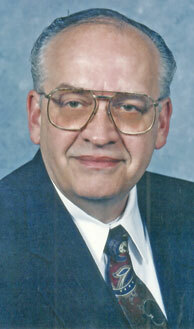 He attended the South Dakota School of Mines and Technology until he enlisted in the United States Navy in 1961. During his 26-year career, Reinke served in assignments as a journalist at Naval Air Station Barbers Point, Hawaii, Alameda Naval Station, San Francisco, Calif., was a journalism instructor at the Defense Information School, Fort Benjamin Harrison, Ind., served two tours in Vietnam; public affairs officer at Naval Air Station, Capodochino, Naples, Italy, and manager of the public affairs office at Naval Support Activity, Naples, Italy. He then served as detailer of the journalist and draftsmen communities in the Bureau of Naval Personnel in Washington, D.C. His final assignment was in the Directorate of Freedom of Information and Security Review, Office of the Assistant Secretary of Defense for Public Affairs. Master Chief Reinke retired from the Navy in 1987. Following his Navy retirement, Reinke served as an operations research specialist in the Department of Defense, offices of the Joint Staff, Directorate of Information Management. He retired from that position in 2000. Reinke was a member of the Little White Church and regularly attended Immanuel Bible Church (IBC) in Springfield, Va., until he became home bound. He co-managed the Treasure Chest Ministry at the IBC for two years. He also was a member of the Fleet Reserve Association and Naval Order of the United States. Reinke died Sunday, March 10, 2013, at Potomac Center, Arlington, Va. He was 71. He is survived by his wife, Sharon, of 43 years; sister, Sharon Paschke; brother-in-law, William Paschke; nephew, Rodney (Julie) Paschke, of Jordan, Mont. ; niece Karla Paschke, of Murray lowa,; two grand-nieces; and one grand-nephew. A committal service with military honors will be held at Arlington National Cemetery at a later date. Posted on February 15, 2010 by HB Auld, Jr.
We at Fellowship Baptist Church in Longview, Texas, are blessed with a new pastor. Galen Herrington and his wife, Angie, and son, Luke, joined us in mid-December, 2009. Galen was a US Army Chaplain, serving at Fort Campbell, Kentucky, when our church called him to shepherd us. Galen previously served overseas as a Chaplain in Iraq. He and his wife have been such a blessing in our church. Galen doesn’t preach to us; he talks to us. His sermons touch our hearts and it is obvious that he is a man after God’s own heart. Everything he does is for the furtherance of the Gospel. We hope if you are in the East Texas area, you will visit us at 1818 Springhill Road in Longview, Texas. Sunday School for all ages is at 9:15 a.m. Sunday morning services follow at 10:30 a.m. Sunday evening services are at 6:00 p.m. Wednesday evening Prayer Meeting, Youth Group, Mission Friends, Royal Ambassadors, and Girls’ Auxiliary all meet Wednesdays at 6:30 p.m. Additionally, there are various other ministries, including Study Groups throughout the week and a special service for teens and young people every other Saturday night. Come visit us.